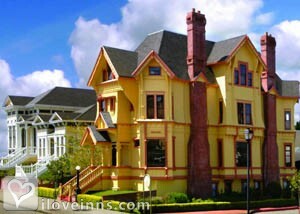 Eureka bed and breakfast travel guide for romantic, historic and adventure b&b's. 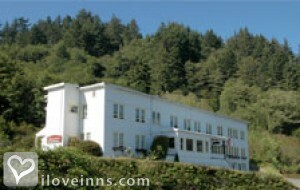 Browse through the iLoveInns.com database of Eureka, California bed and breakfasts and country inns to find detailed listings that include room rates, special deals and area activities. You can click on the 'check rates and availability' button to contact the innkeeper. The principal city of Humboldt County in California is Eureka which is also the biggest coastal city between Portland and San Francisco. Eureka acts as the hub for government, trade and arts center for the Northern part of California. Because of its location which is adjacent to Humboldt Bay, Eureka has the largest seaport between San Francisco and Coos Bay. Eureka boasts of the most extensive reservation of the world's tallest trees, the Coast Redwoods. 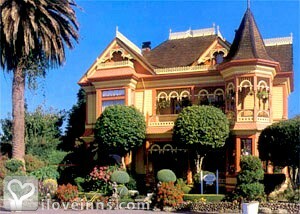 Eureka is also famous for its many Victorian homes including the Carson mansion located in the Old Town Historic District. After a relaxing stay at any of the Eureka bed and breakfast inns, you can visit California's oldest zoo, the Sequoia Park Zoo, which is strategically located on more than 67 acres of Redwood Forest and has its own public playground which is the largest in Eureka. By Carter House Inns. Founded in 1850, Eureka is the largest Seaport between San Francisco and Portland. With thousands of examples, this historic Victorian Seaport has more Victorian homes and homes of the Arts & Crafts period (1915-1940) than any other city in California. Eureka offers restored waterfront wharves.